Calling All Vets and Techs! Are you headed to Western Veterinary Conference? Drop by the Tripawds Foundation in booth #1032 at WVC 2018 to meet spokesdog Wyatt Ray, learn about the many Tripawds Resources and assistance programs, and enter to win a special prize* – just for helping your your clients facing amputation for their dogs and cats! From March 5-7, 2018 the Tripawds Foundation will once again be informing the industry’s best veterinarians, vet technicians, clinic staff and students about helpful pet amputation resources for their clients at the Mandalay Bay Convention Center in Las Vegas, Nevada. Come pick up some free patient education materials for your pet amputation clients, and enter to win. The Tripawds Foundation helps amputee pets everywhere by providing free resources to people facing amputation or a limb cancer diagnosis for dogs or cats. We host free blogs, forums and live chat at tripawds.com, offer various assistance programs, provide free materials to veterinary offices, and host a toll-free Helpline for concerned pet parents. Learn about the Tripawds ASAP veterinary financial aid fund for amputation surgery. The Tripawds Foundation now offers two grants each month to help your clients pay for unexpected surgical expenses. Generate more rehab referrals by informing amputation clients about the Maggie Moo Fund for Tripawd Rehab. The Tripawds Foundation will pay for the first consultation! Ask about appearing on Tripawd Talk Radio to help inform our listeners about the latest advances in orthopedics, cancer treatment, rehabilitation, or pet nutrition. Or, just drop by to meet Tripawds Founders Jim and Rene and get your photo taken with Wyatt Ray. Wyatt staffs the Tripawds booth at WVC 2017. 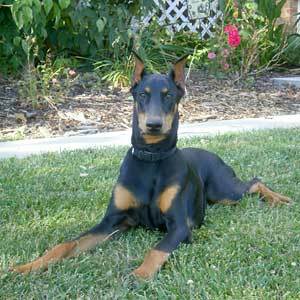 *Meet Wyatt and Enter to Win! 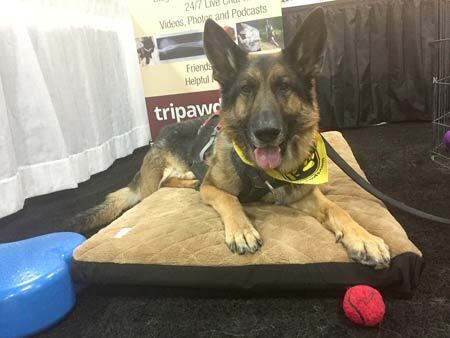 Visit the Tripawds Foundation in booth #1032 for your dog fix. Request free pet amputation brochures for your clinic and be entered to win a $50 Amazon gift card. Entry limited to veterinary clinic staff and representatives.